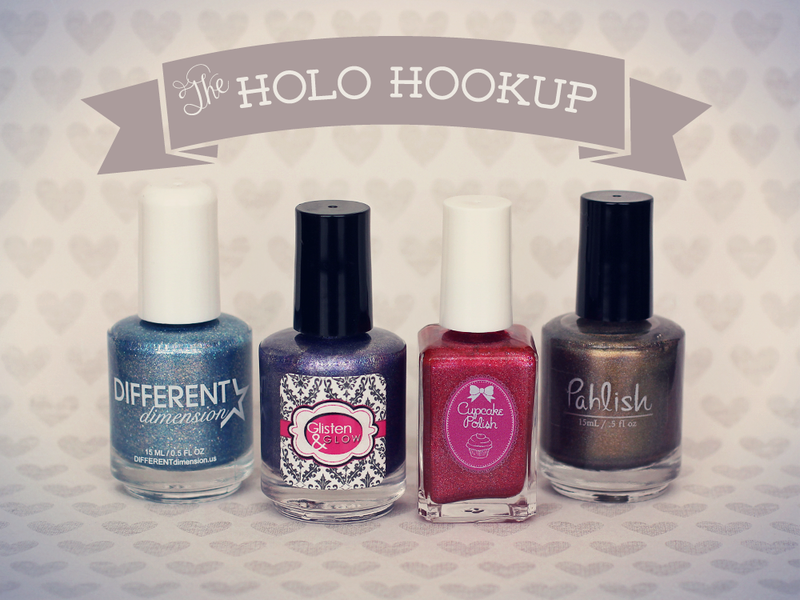 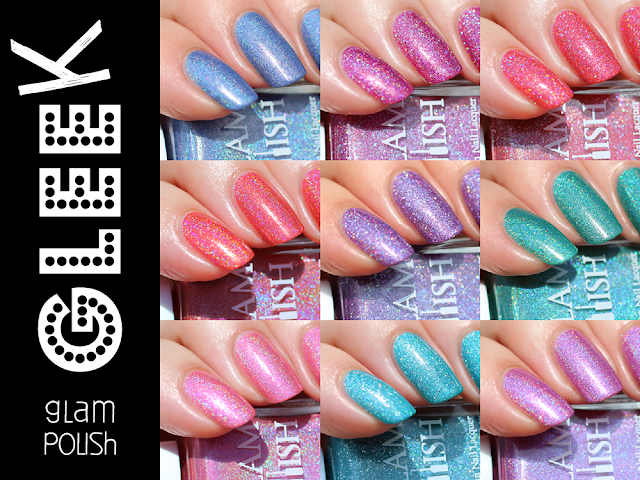 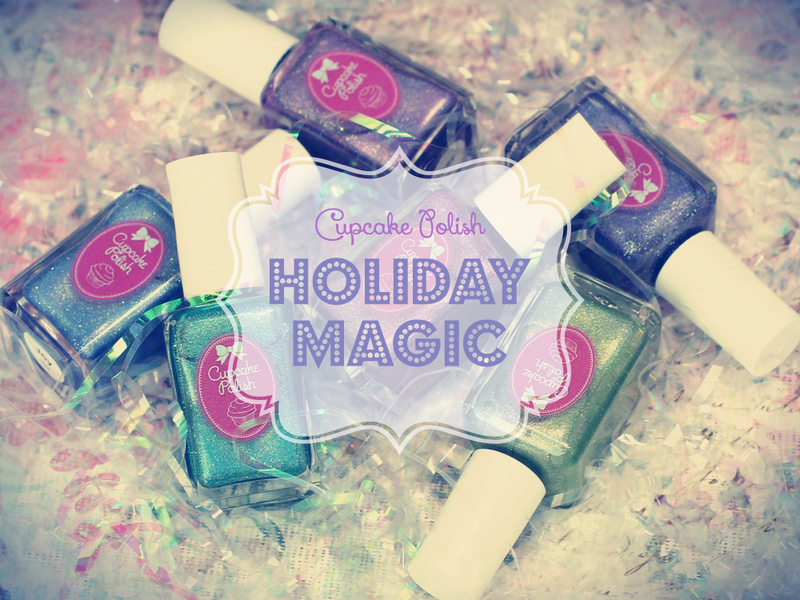 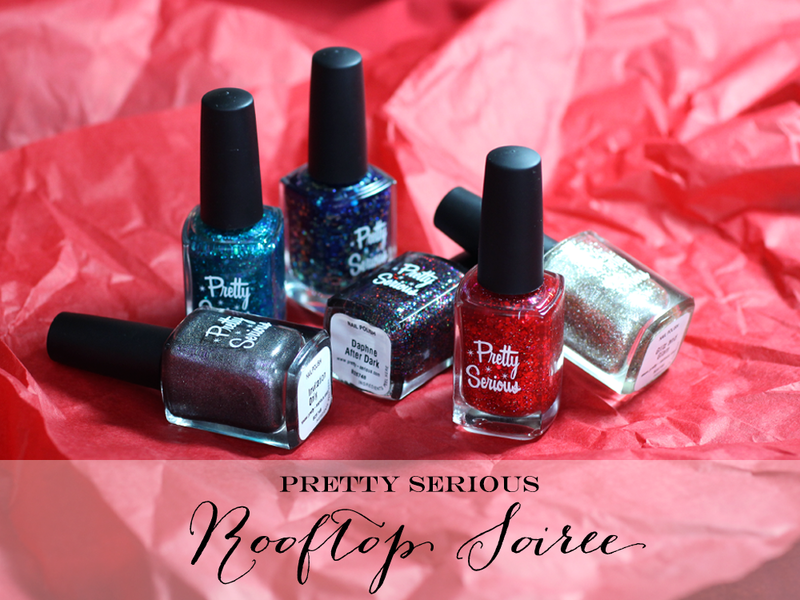 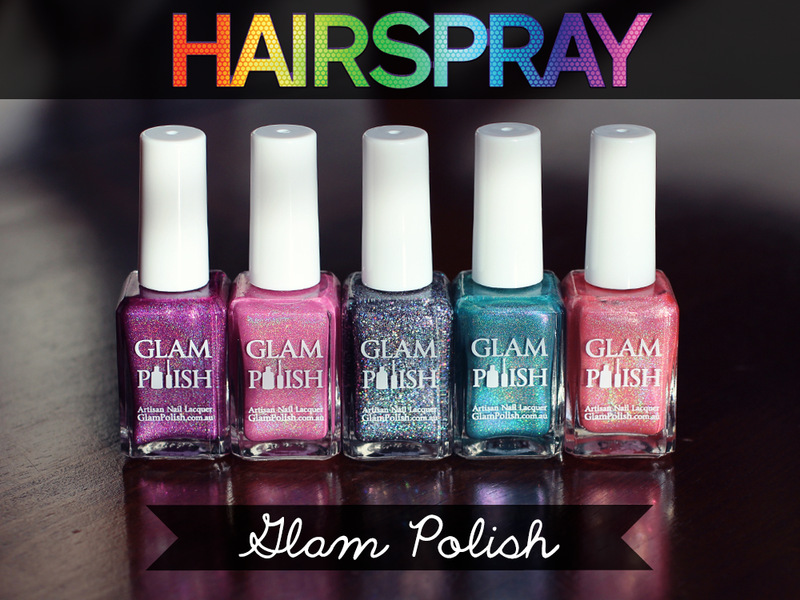 The Holo Hookup has a brand new quartet of sparkling delights to help ring in the new year! Keep reading to see more photos and my review of the "Love is in the Little Things" box, available for pre-order today. 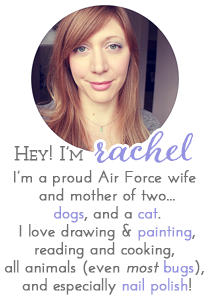 I have a somewhat belated (but still super awesome!) 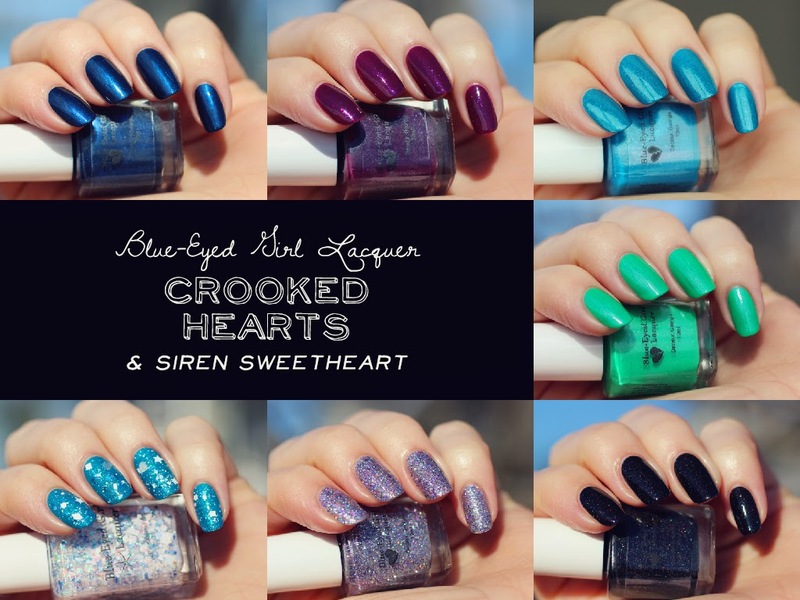 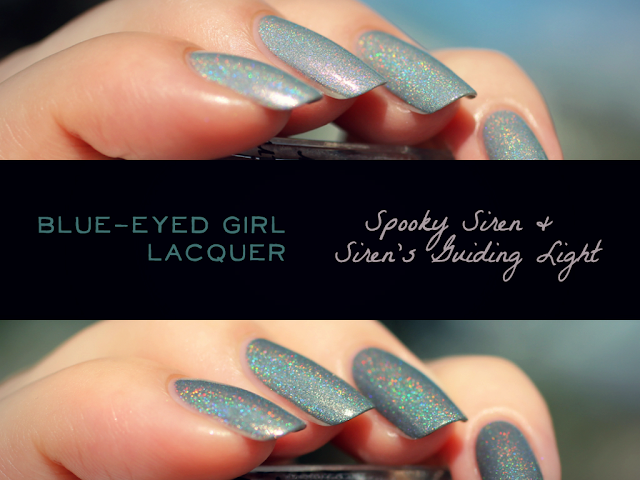 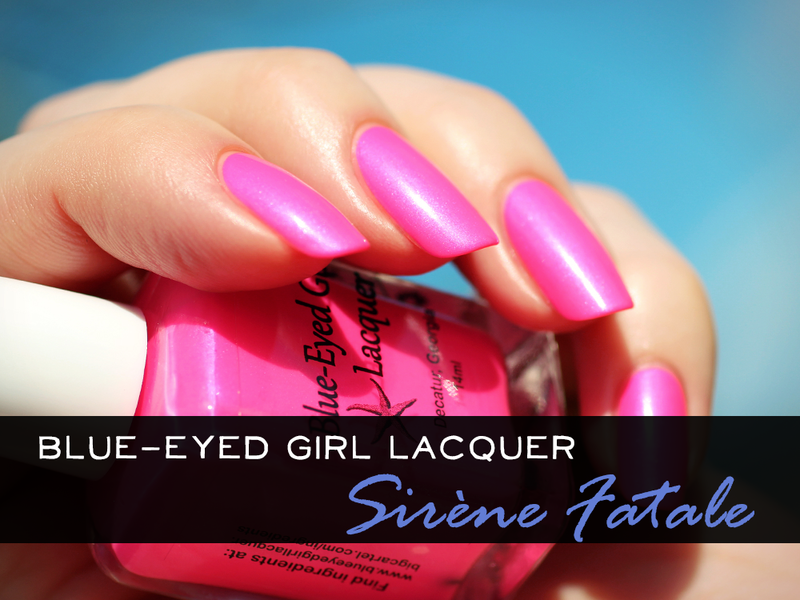 post featuring two special, limited-edition Siren series colors from Blue-Eyed Girl Lacquer to share with you all tonight! 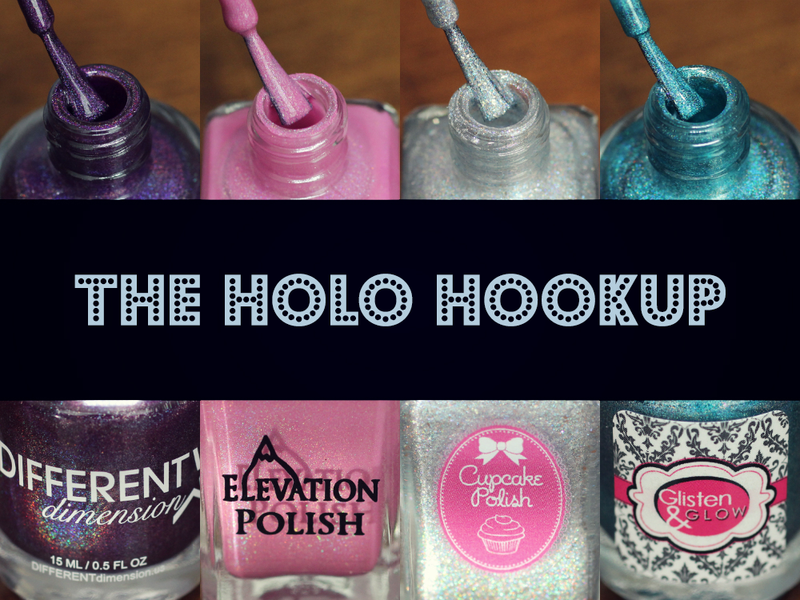 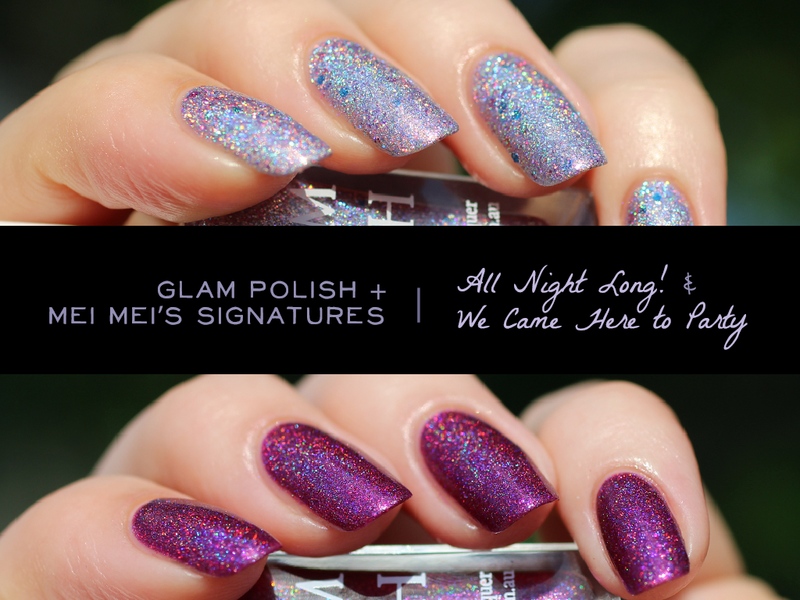 For all you holo lovers out there, I have a wonderful surprise to share with you tonight! 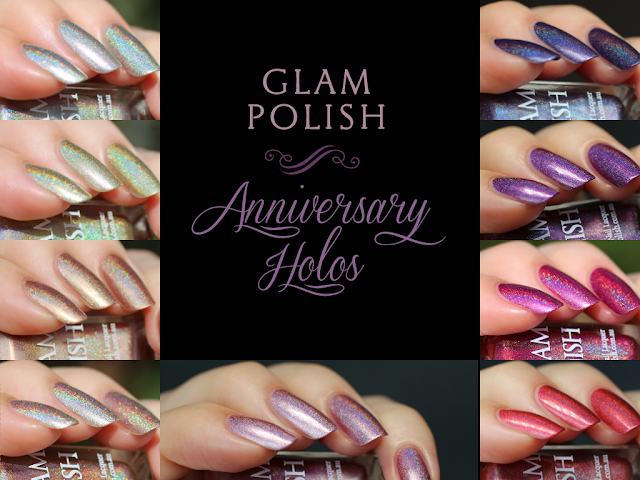 Glisten & Glow, Different Dimension, and Cupcake Polish have teamed up together to create a holo-themed monthly indie polish subscription box which will feature a special guest maker each month, "The Holo Hookup." 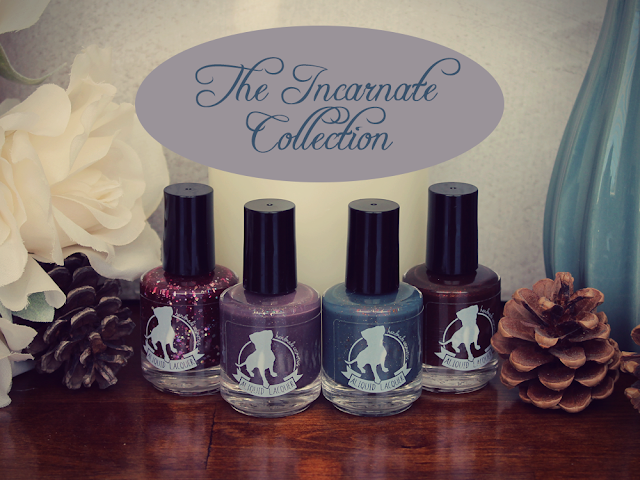 This will be their very first box, with Elevation Polish as their guest contributor, and it releases tonight! Take a look at my full post for more photos and my review. 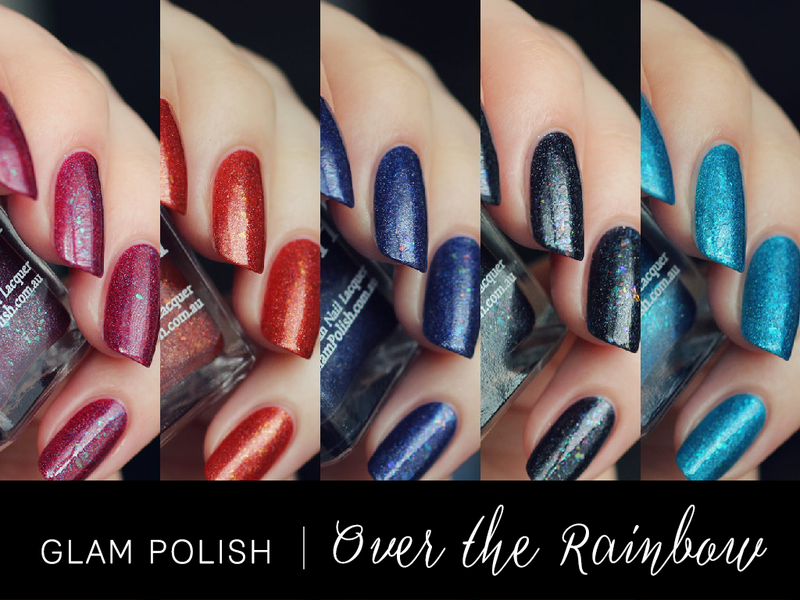 Hey polish peeps! 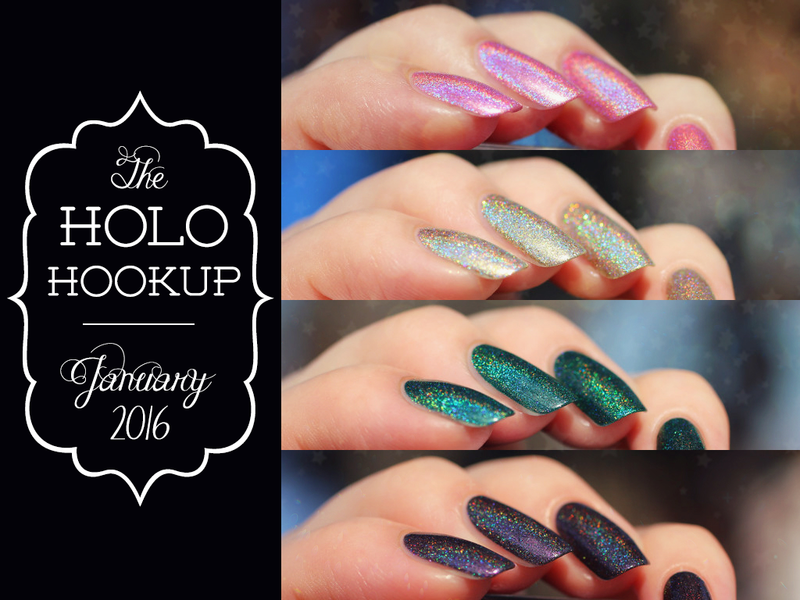 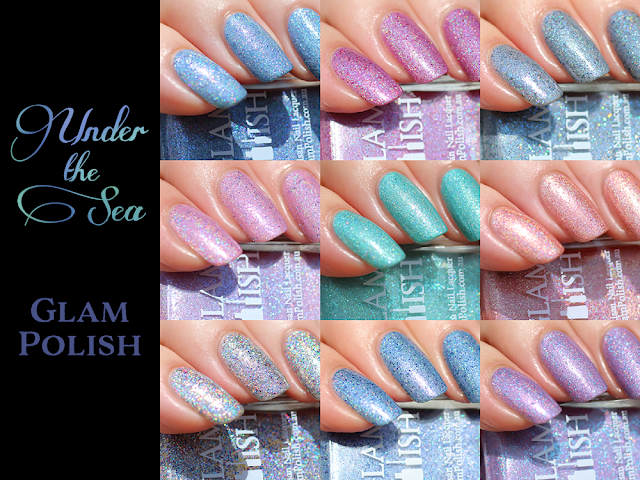 Tonight I have a fantastic new collection from Aliquid Lacquer to share, full of glitter, sparkle, and mystery! 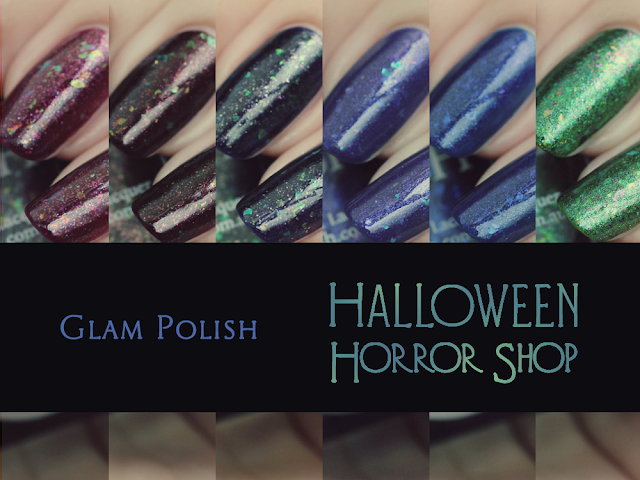 Happy Fall, y'all! 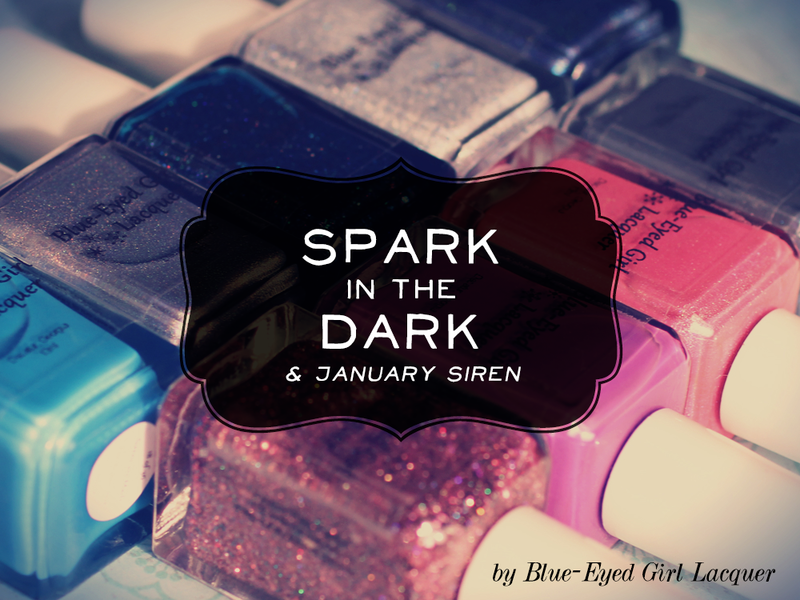 It's been a wet week here in South Carolina, but the sun is out again, and I'm ready for some sparkle! 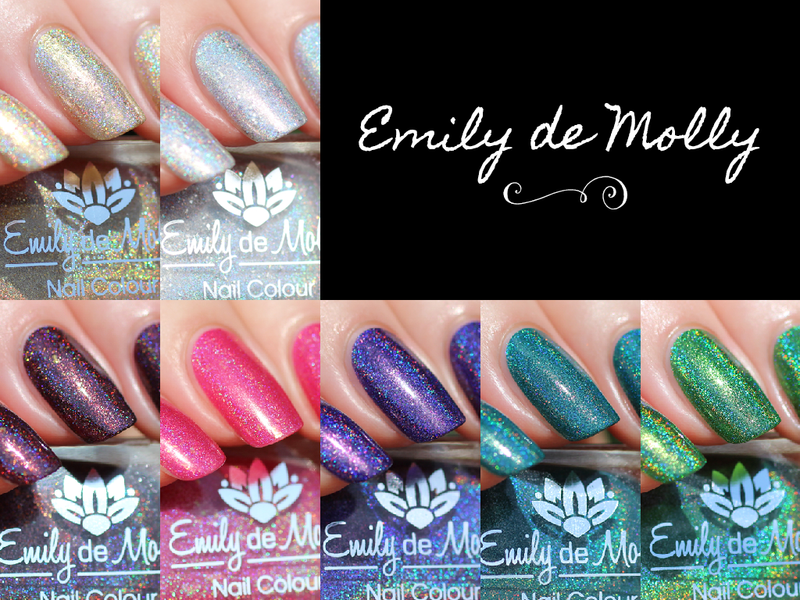 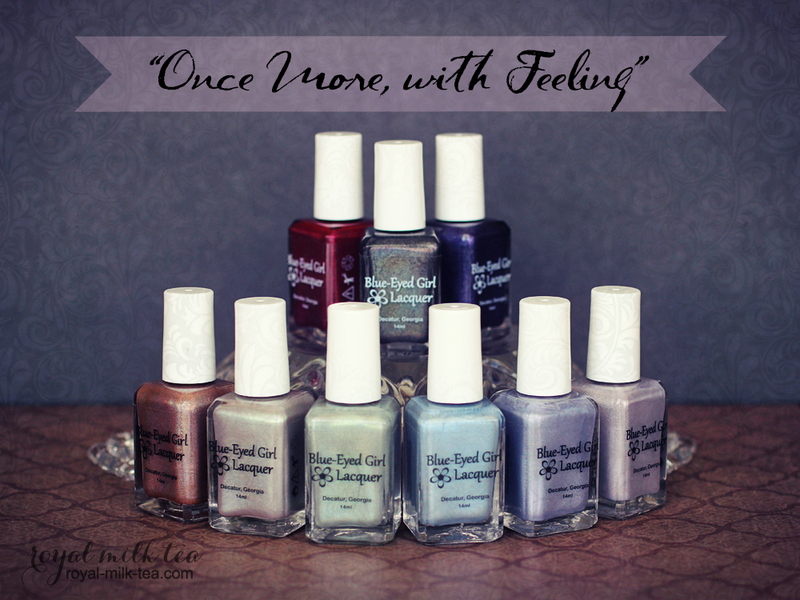 Tonight I'm sharing another set of stunning new colors from Emily de Molly! Read on for my photos and my review. 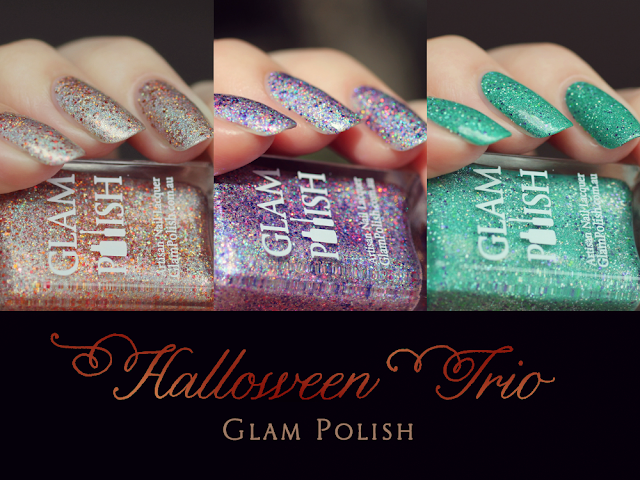 Get your broomsticks and jack-o-lanterns ready, I have three spook-tacular new, limited-edition Halloween colors from Glam Polish to show you all today! With Halloween just around the corner, it's time for all things spooky and eerie (and pumpkin-y! 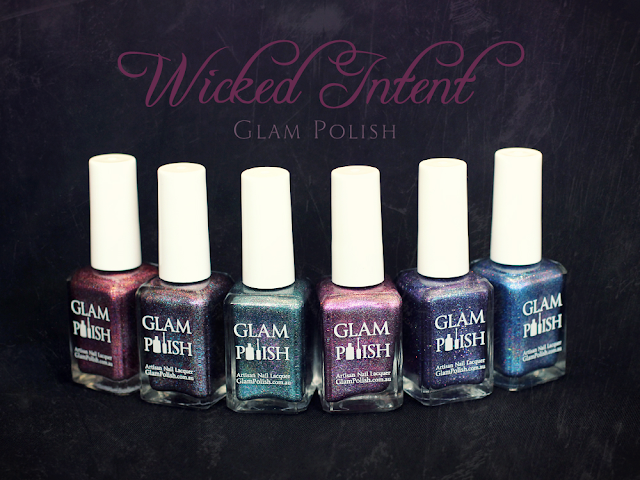 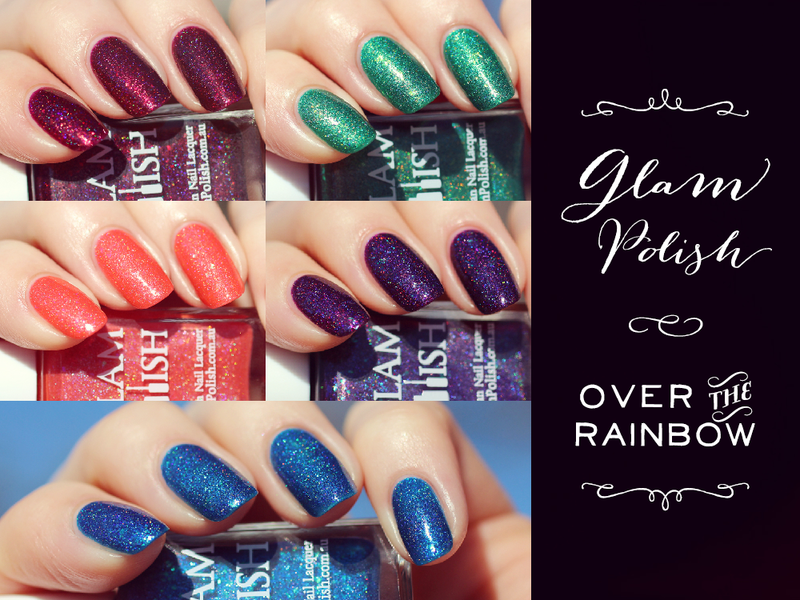 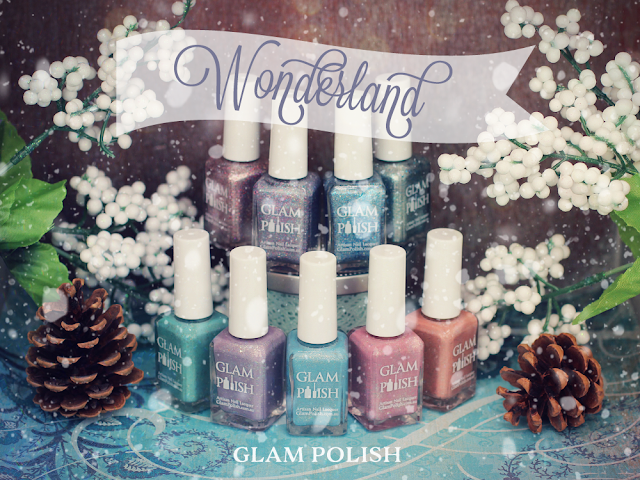 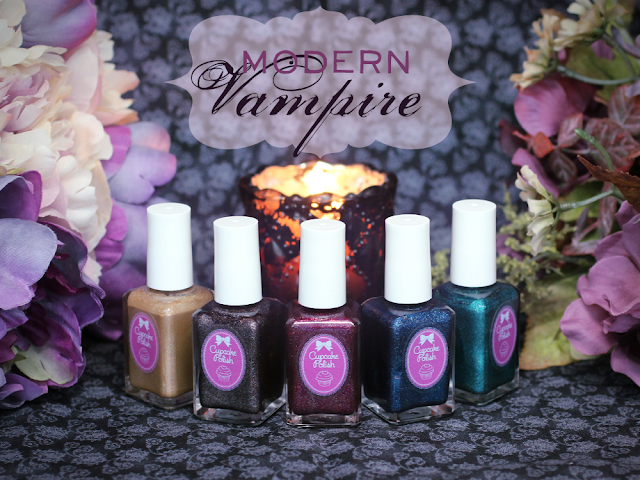 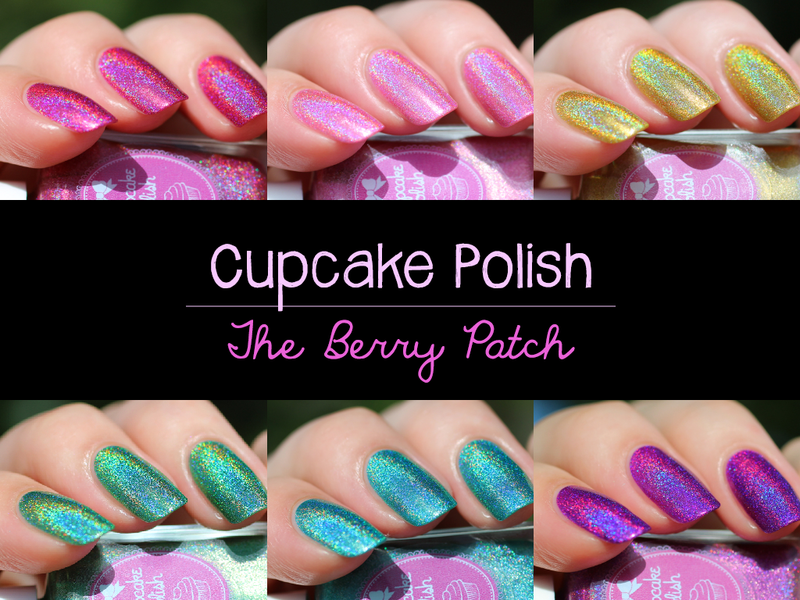 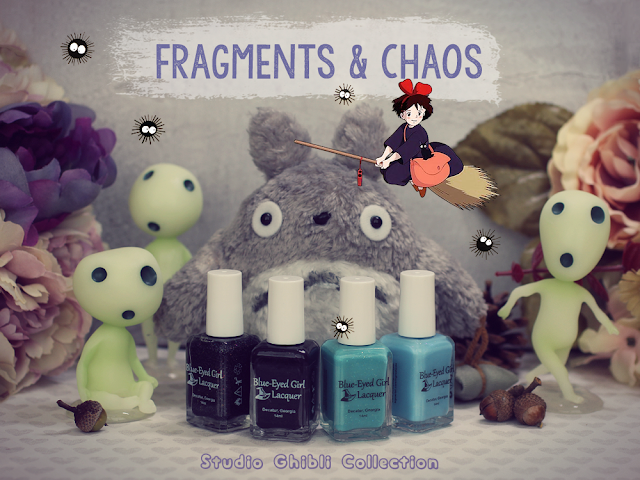 ), and Cupcake Polish has a brand new collection of delightfully dark and dazzling colors that will leave you spellbound! 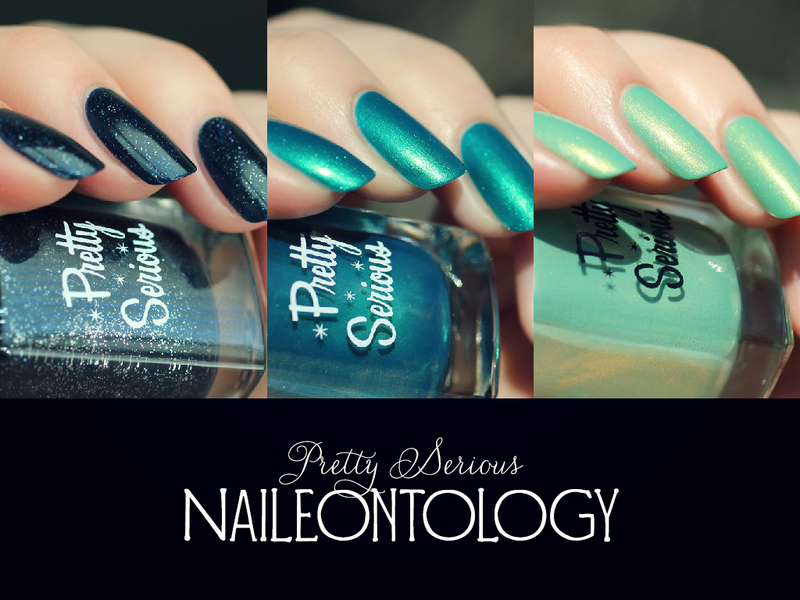 An incredible discovery in the world of Naileontology has been made! 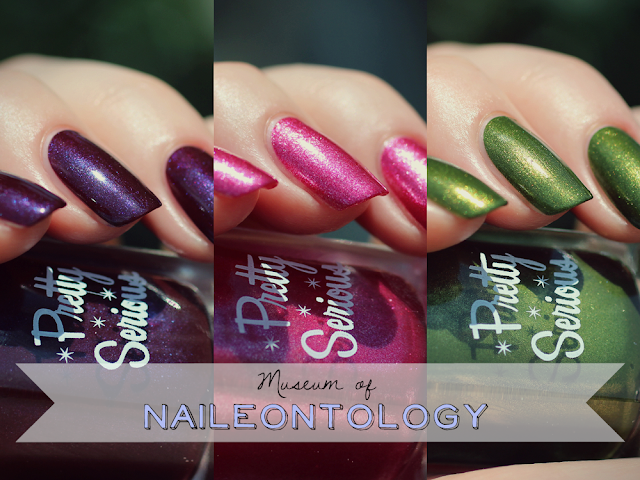 Three exquisite new nail lacquer treasures have been unearthed by Pretty Serious in her second installment of the Museum of Naileontology! 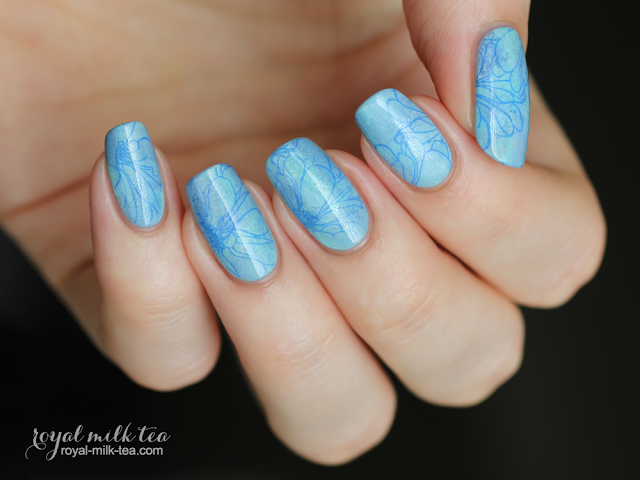 Today is "Alopecia Awareness Day" and, to show support, myself and many other nail bloggers are wearing beautiful blue manis! 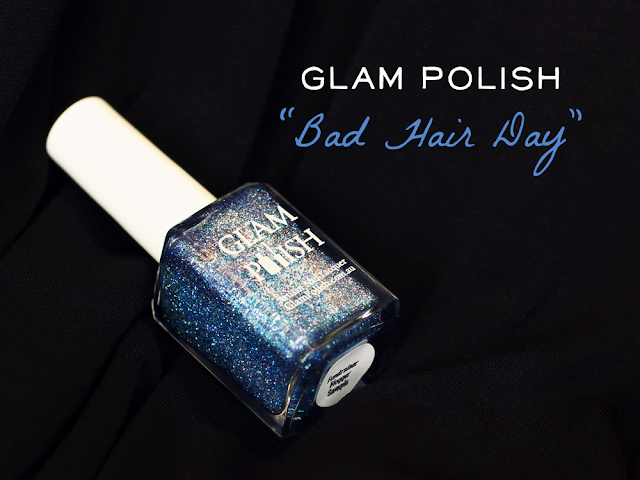 Today's post features a very special polish from Glam Polish to help raise funds and awareness for children living with Alopecia. Keep reading to see more photos of this fabulous color and to find out how you can help! 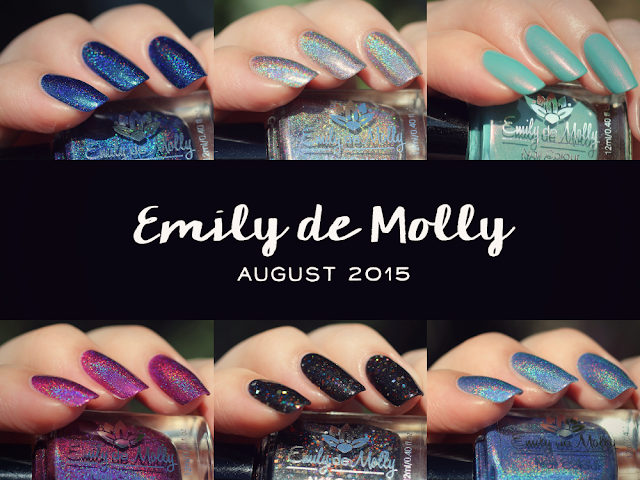 Just in time for the last rays of Summer sunshine, today I have an assortment of brand-new, exquisite holographic colors from Emily de Molly to share with you all! 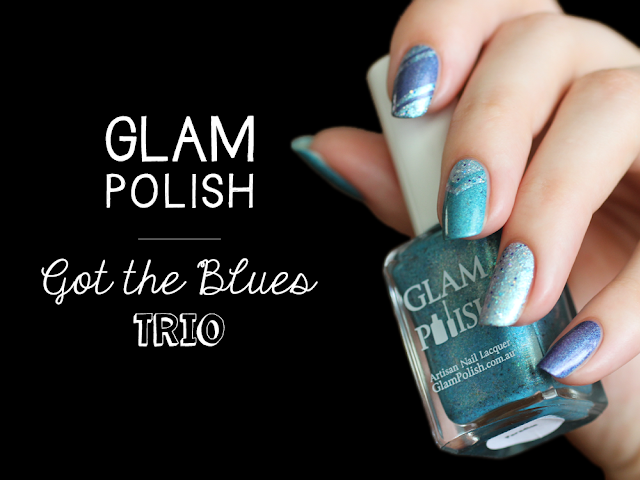 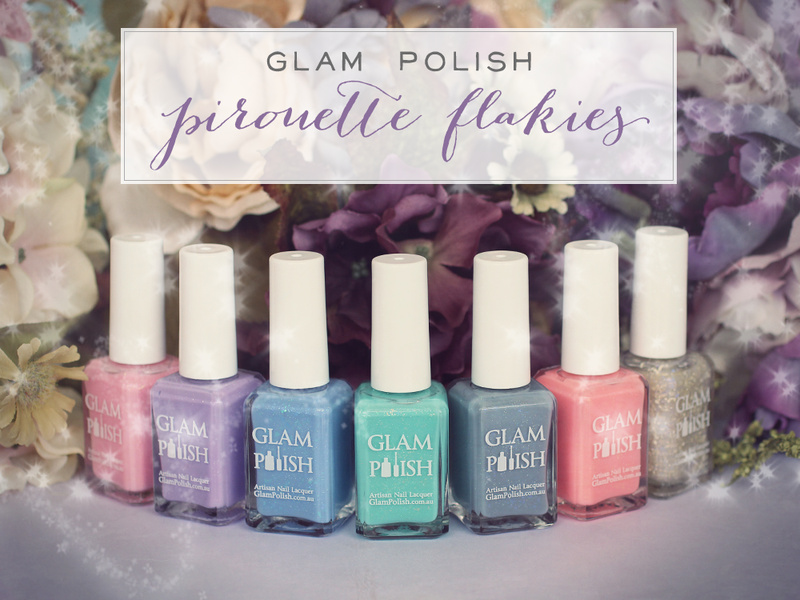 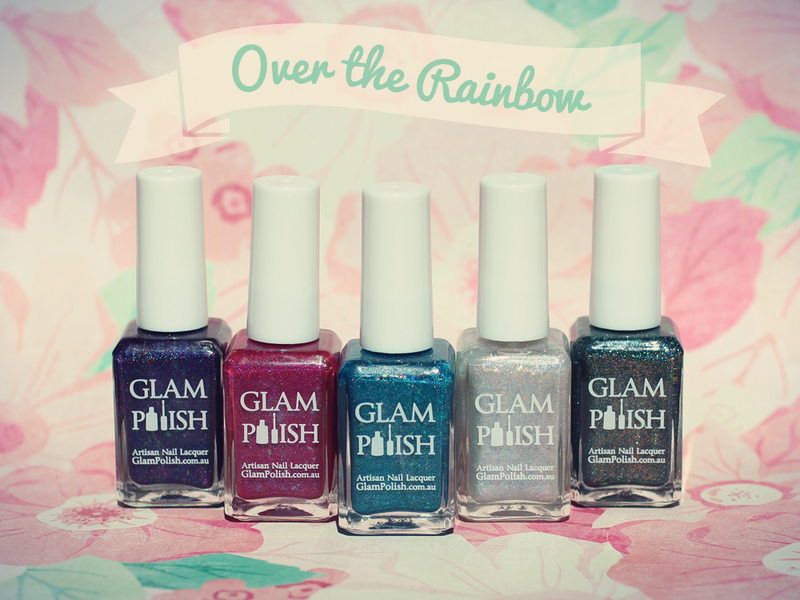 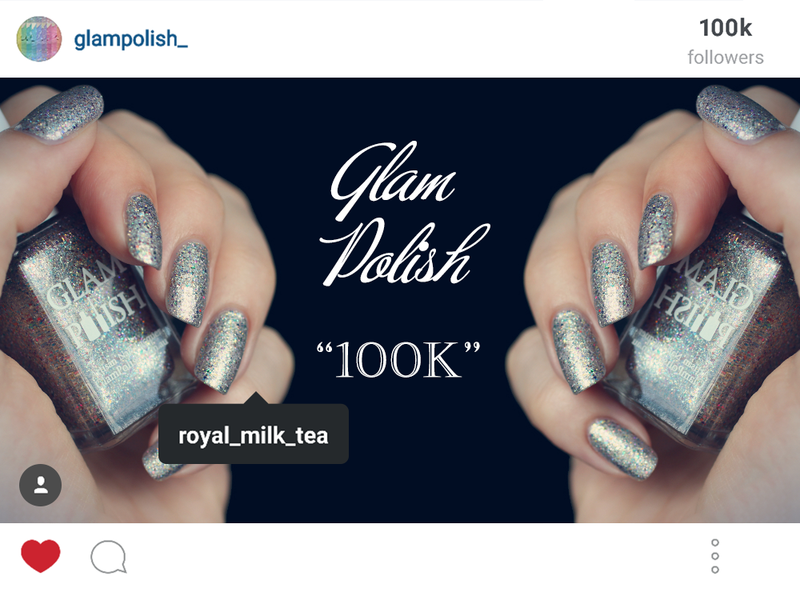 Having the blues has never been better than with this spectacular new trio from Glam Polish! 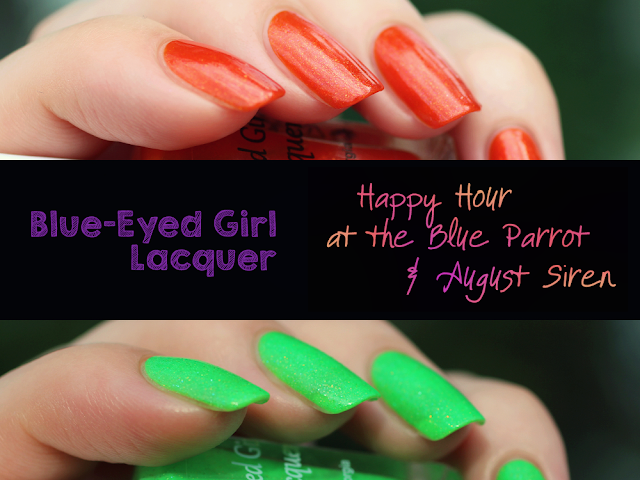 I have a couple of brand-new, super special limited-edition colors from Blue-Eyed Girl Lacquer to share with you all this evening! Here is Julie's contribution to this month's Destination Polish Collaboration, as well as the newest Siren series color. 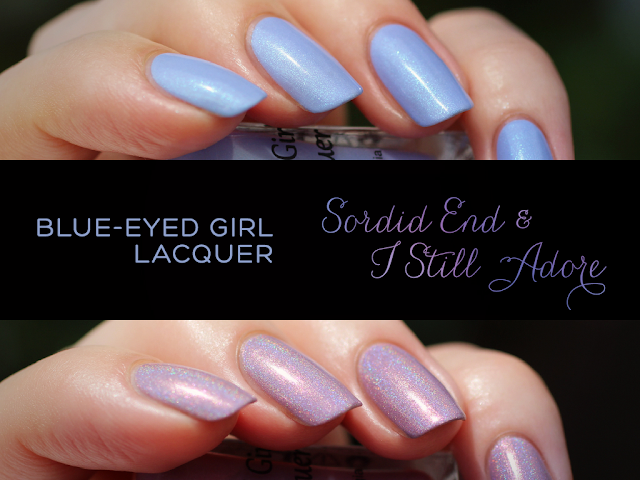 It's been a little while, hasn't it? 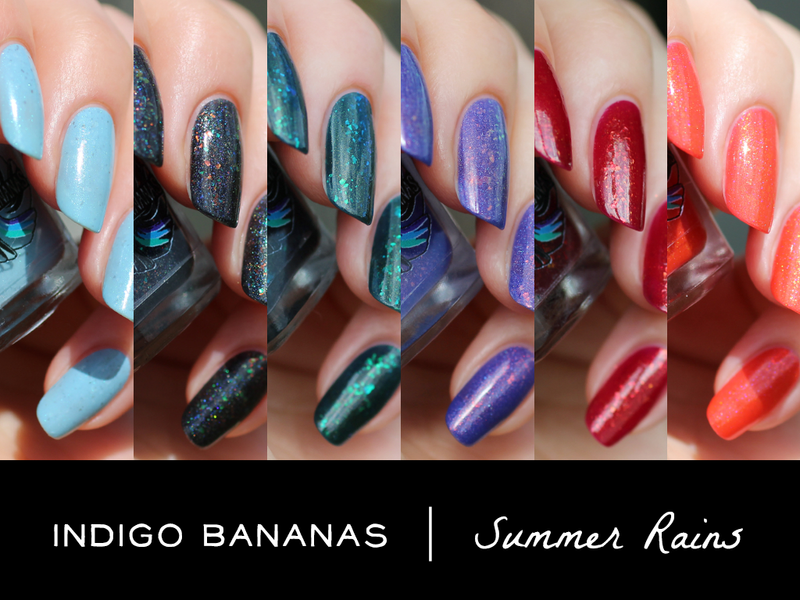 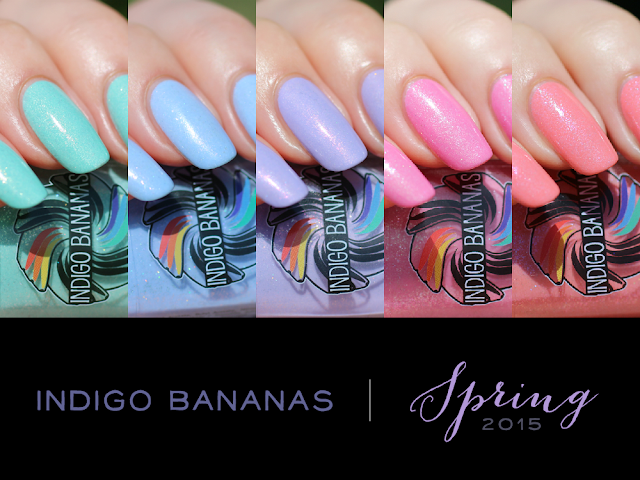 This has been a bit of a crazy month for me, but I'm back and I have a slightly belated, but obviously still super fantastic, post to share with colors from Indigo Bananas! 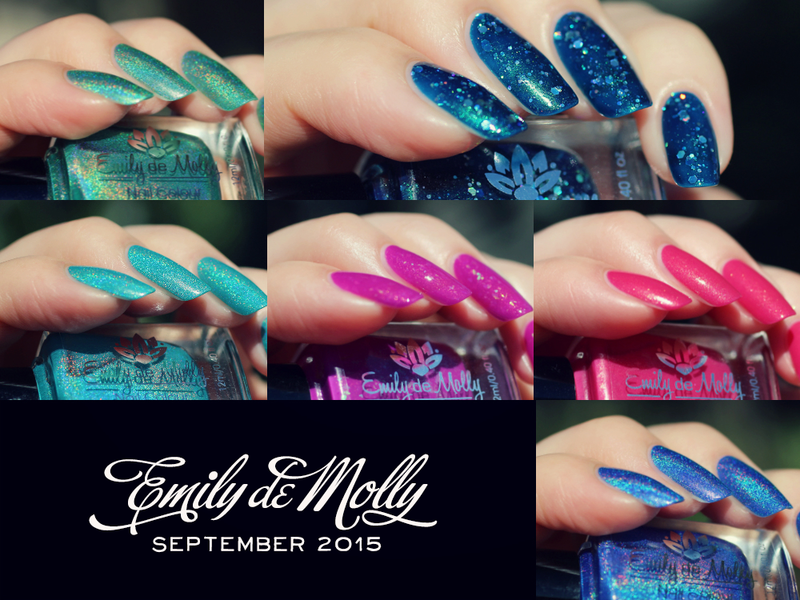 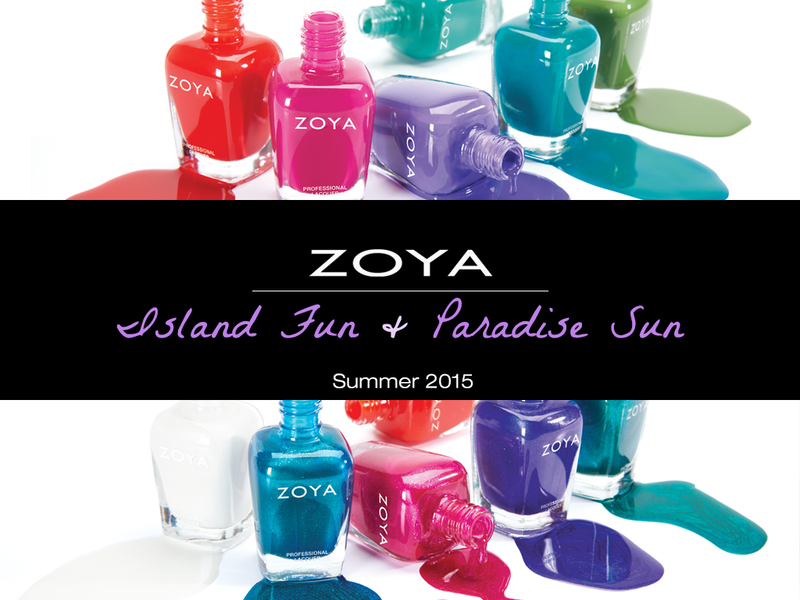 The "Summer Rains" collection is a set of jellies (plus one crelly!) 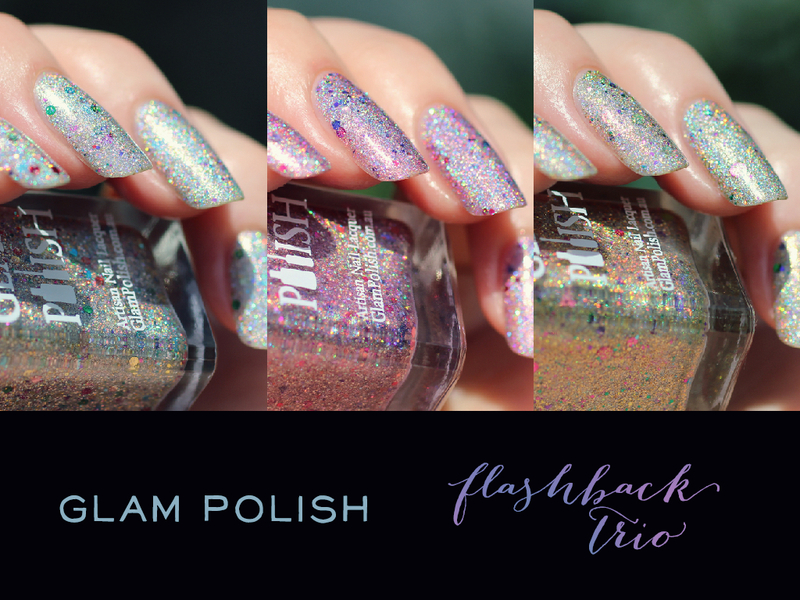 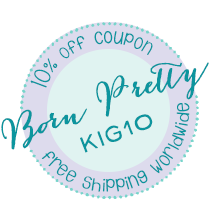 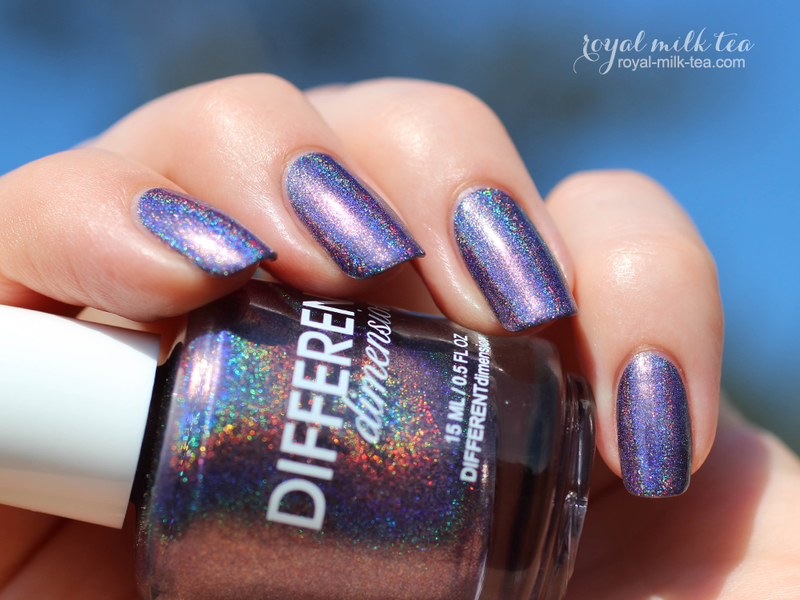 full of color-shifting iridescent flakies and shimmer, and a beautiful holographic effect. 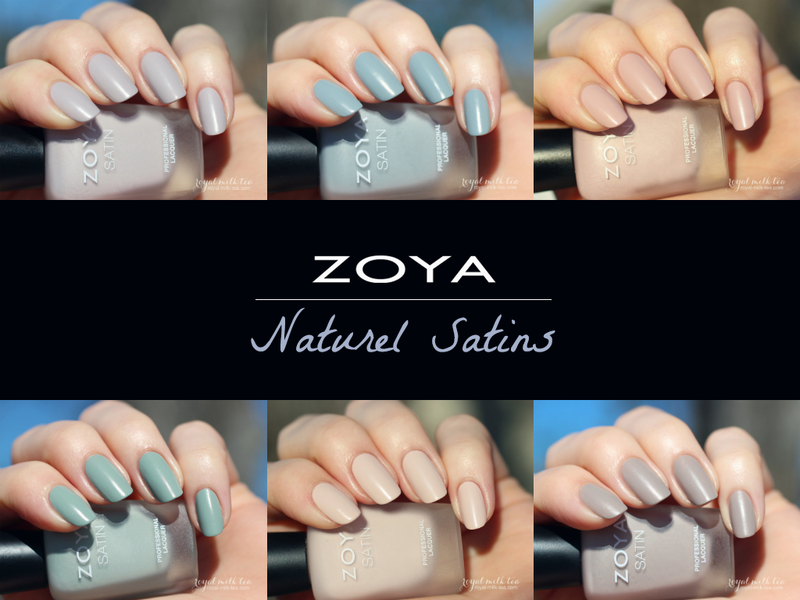 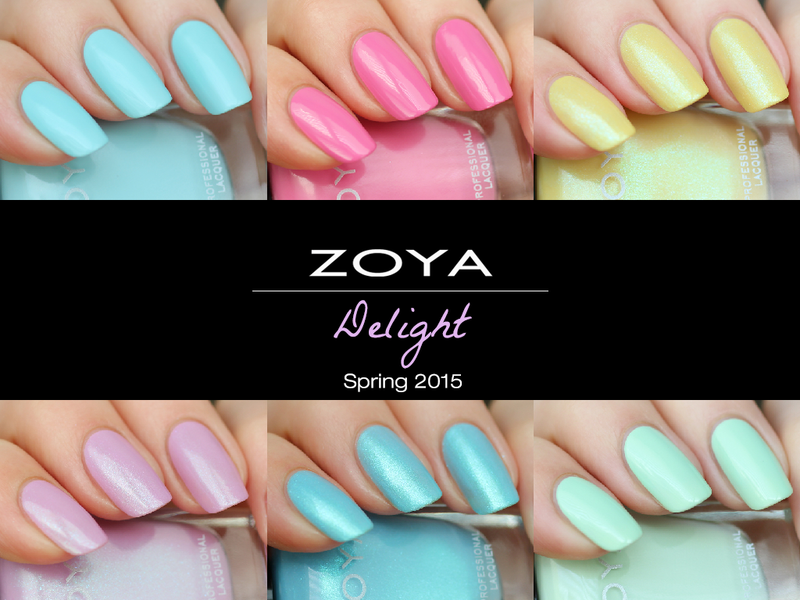 The new Zoya Naturel Satins are up on my blog tonight! 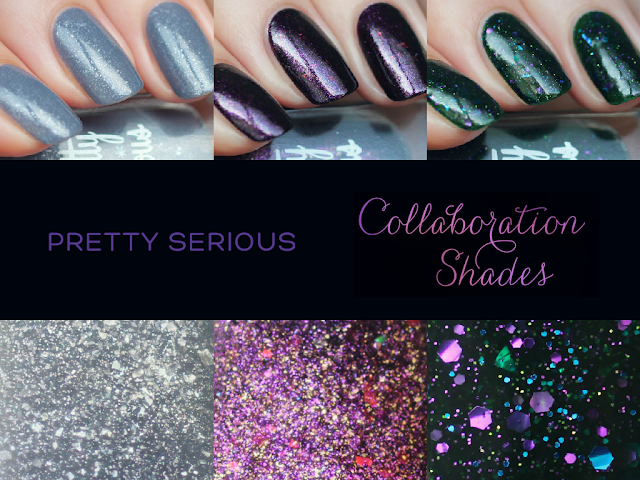 I'm just thrilled to be able to share these gorgeous, de-saturated hues with you all, so I hope you're as excited as I am to see them! Read on for my review and more photos of the collection. 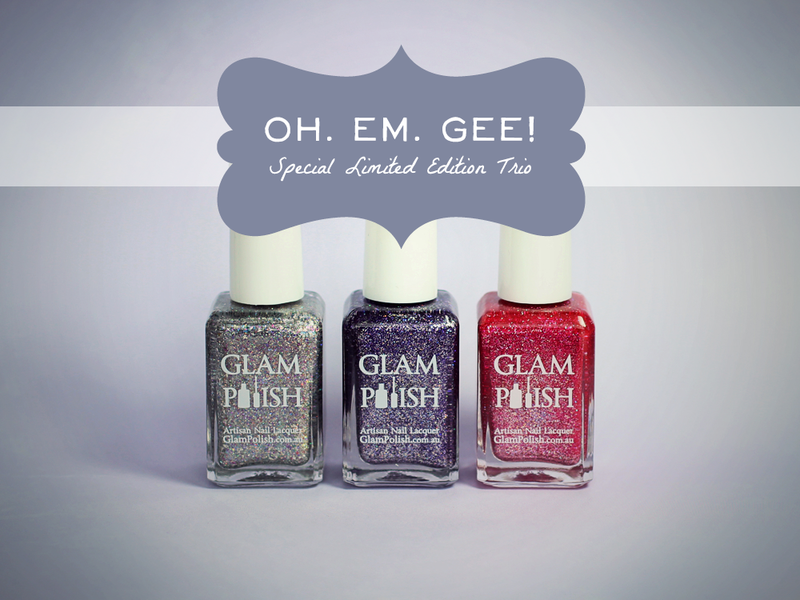 Glam Polish has a very special, super limited-edition polish duo set for Valentine's day that I get to share with you all! 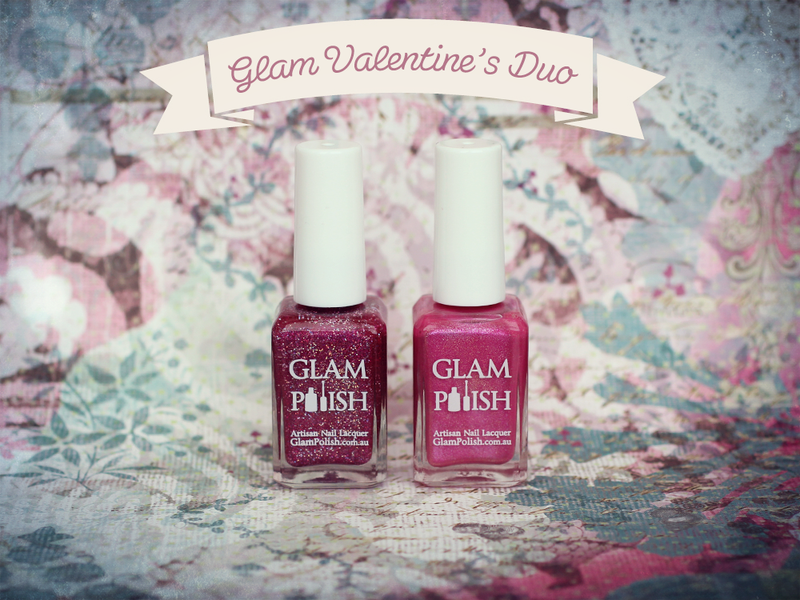 Keep reading for more photos of the gorgeous Glam Valentine's Duo!